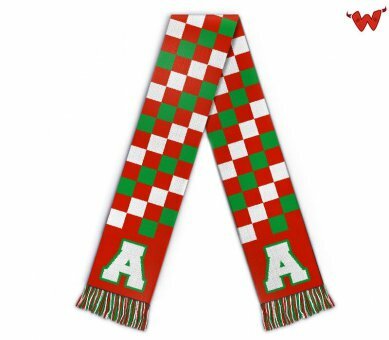 Edit design Football scarf Augsburg merchandise , or create your design from scratch. 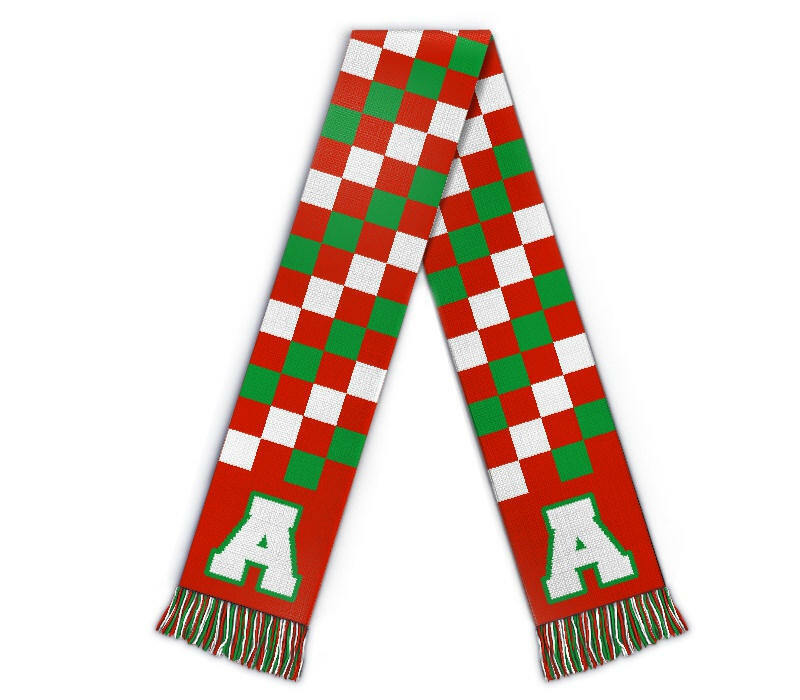 Design an Augsburg soccer scarf in red green and white today. Merchandise from the top teams of the German bundesliga with your custom design, text and logo. Not printed, no embroidery, but knitted in.